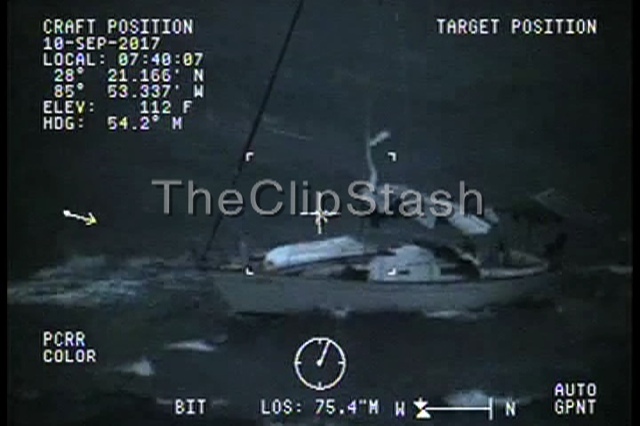 TheClipStash.com - Two Boaters And Dog Rescued! Two Boaters And Dog Rescued! Coast guard crew rescues two boaters and a pet dog after the boat became disabled in rough seas. The sailboat was en route for Mississippi to avoid Hurricane Irma.